Let's see how much #Puso we'll be needing. 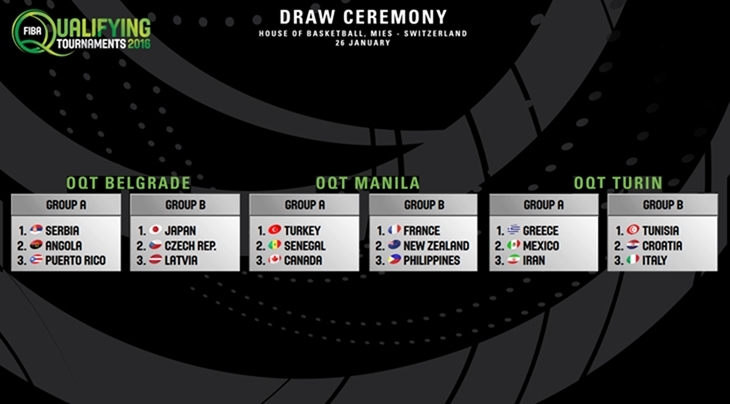 The teams that will slug it out at the Manila FIBA Olympic Qualifying Tournament (OQT) from July 5 to 10 have just been revealed. The top two teams in the preliminary rounds (respective groups) will try to knock each other out for the coveted tickets—one for each OQT—to the Rio Olympics. Aside from the Philippines, Serbia and Italy are also slated to host the two other tournaments with the same number of teams each. While we (possibly) now have the chance to send the best Gilas Pilipinas contingent, following full commitment from the PBA (not to mention the possibility of Jordan Clarkson and Bobby Ray Parks, Jr. suiting up), it doesn't make the competition less difficult. Just the names above (and their combined body of work) are enough proof of how tough this French national team is. Not even mentioned were Evan Fournier, Joffrey Lauvergne, and possible additions Joakim Noah, Kevin Seraphin, and Ian Mahinmi, among others. 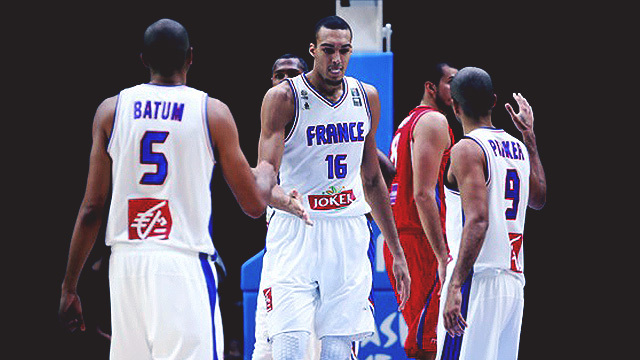 One of the global basketball powerhouses, France is easily the biggest obstacle in our road to Rio. There's a reason why they're up there in the World Ranking. Already considered as one of the tournament heavyweights, the possible inclusion of centers Omer Asik and Enes Kanter (both not in the Eurobasket 2015 lineup) could prove a handful for our very own Andray Blatche and June Mar Fajardo. Aside from their spirited play we had seen more often in recent memory (William Jones Cup, MVP Cup), we'll probably remember the Kiwis for their bizarre pre-game number. Still, don't be fooled by their haka dance, this team has the size and talent to go toe-to-toe with their more fancied rivals. This team is probably the hungriest for a matchup against Gilas Pilipinas, having been outclassed by our boys during the 2014 FIBA World Cup. Senegal, despite still qualifying for the next round in the said tourney, stood in disbelief as the Philippines savored its first World Cup win in 36 years. Will it be a repeat or a defeat? 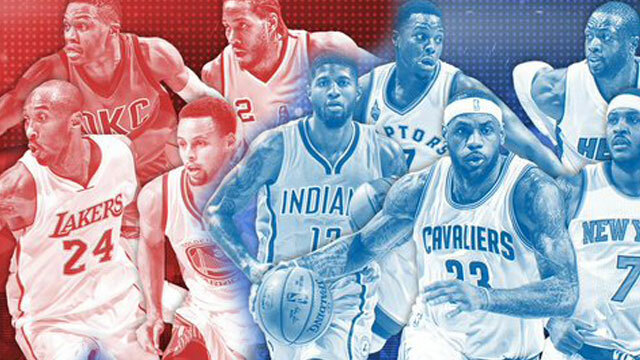 The Best Plays From This Year's NBA All-Star Starters!